A cookie that's too large or corrupted can mess with a site. Here's how to fix that. The dreaded “Bad Request” error. Have you ever been refused service at a website you frequent with an error message that says, “400 Bad Request. 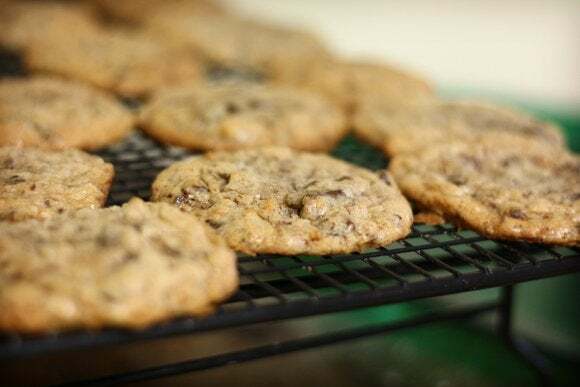 Request Header or Cookie Too Large?" It’s an annoying problem typically caused by the Nginx web server, and it typically happens for one of two reasons. Sometimes the website using that software doesn’t allow browser cookies over a certain size, or cookies stored in your browser might be corrupted. The easiest way to solve this problem is by deleting the cookies for that site. The quick and dirty way is to delete all the cookies in your cache, but that would mean losing saved data for other sites—including logins. That’s a big hassle if you ask me. Instead we’re going on a targeted delete mission to get rid of the offending cookies. Here’s how to do that in Google Chrome, Mozilla Firefox, Internet Explorer, and Microsoft Edge. Open a new tab and then type the following into your address bar: chrome://settings/cookies and hit Enter. Once the offending site appears in the main part of the window, highlight it, and then press the red 'x' on the far right. Now try going to the problematic site again. If that still doesn’t work, go back to the cookies tab and delete any entries for the parent site (in this case it’s microsoft.com). Now go back to the offending site one last time and everything should be working fine. To delete specific cookies on Firefox, type about:preferences#privacy into the address bar and hit Enter. Now from the privacy tab that opens click the Show Cookies... button. 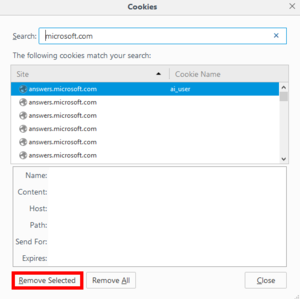 Similar to Chrome, search for the website cookies you want to delete in the text entry bar at the top of the small window entitled Cookies. Select the ones you want to delete and click Remove Selected. Go back and test your site, and everything should be running fine. If not, follow the final steps mentioned above in the Chrome section. Click the Settings cog in the upper right corner of the browser window and select Internet options from the drop-down menu. In the small window that opens go to General > Browsing History > Settings > View files. This little trick will open a File Explorer window at the location where IE saves its cookies. Now search the folder you just opened in File Explorer for the site in question. 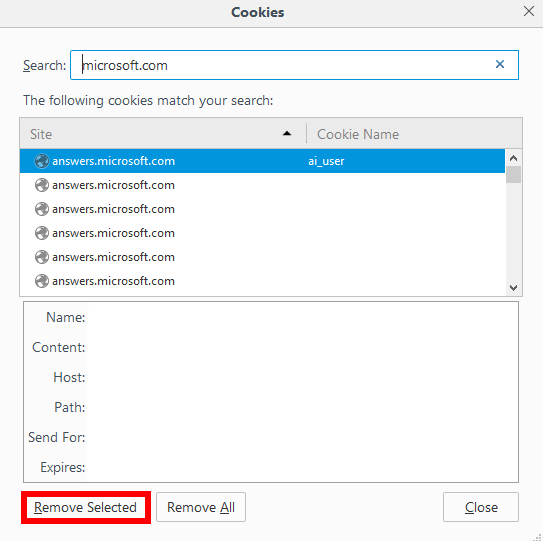 Then delete the cookies you need to get rid of just like you would any other file: Click and drag the files into the Recycle Bin, or right-click the files and select Delete. Deleting cookies in Edge is currently all or nothing. Microsoft’s newest browser doesn’t have the same granular options that the other browser do—at least that I could find. In this case, you’ll have to delete all your cookies and saved website data to get rid of the problem. To do this, click on the three horizontal dots in the upper right-hand corner. Next click Choose what to clear under the Clear browsing data heading. 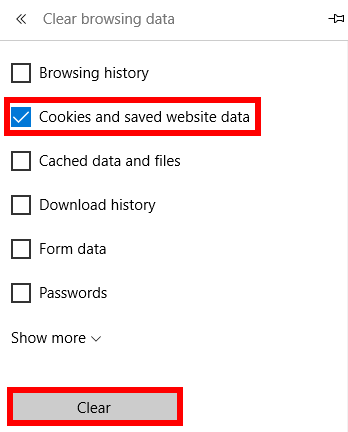 Uncheck everything but the option for Cookies and saved website data. Now click Clear, and you’re done. If that still doesn’t help, go back and clear the Cached data and files option as well.